​The North Bay Nordic Ski Team is for athletes that want to start racing or would like an additional challenge beyond Track Attack. There will be a dry-land training component through the fall usually including one practice per week and continuous throughout the winter. This team will focus on technique and conditioning improvement with the goal of attending our club races and some other small races in neighbouring communities. 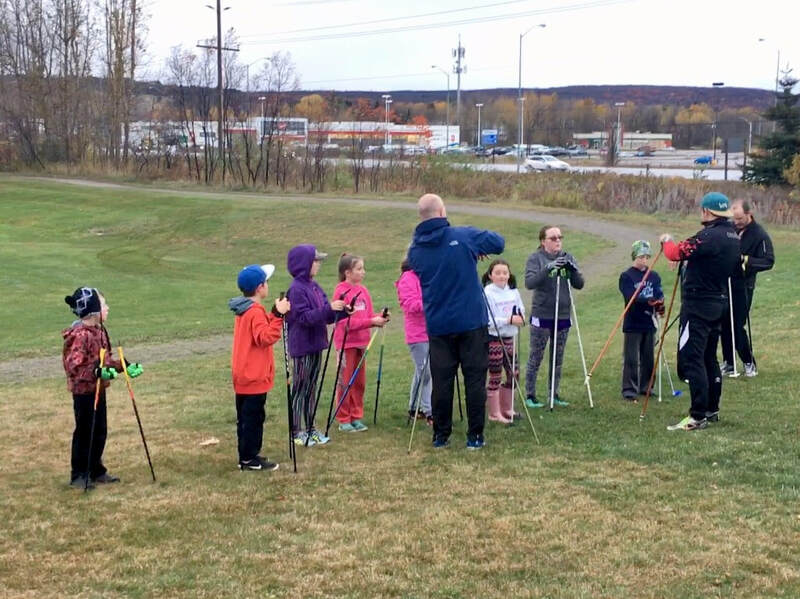 The North Bay Nordic Ski Team will focus primarily on Atom, Peewee and Midget aged athletes (8 – 14), but can also include high school skiers that want an added challenge, but are not ready for the NOD ski team. Mark Thomas has been a long time club member (30+ years) and past club director. Mark has been a member of the North Bay Nordic Junior Racing Team between 1988-1992. With coaching designations in both CCC and NCCP for Nordic skiing, Mark also brings experience in coaching the Widdifield Secondary School and West Ferris Secondary School ski teams as well as the Nipissing University ski team between 2000-2003. His goal with the North Bay Nordic Ski Team is to increase the numbers of participants and to create one club team where all the participants can motivate each other to ski better while still having fun!